The Dynaudio LYD 48 will take your monitoring accuracy — and your mixes — to a higher level of professionalism. 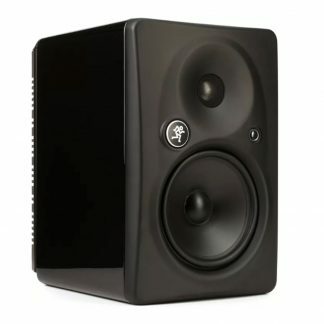 As the new flagship of the LYD range, the LYD 48 builds upon the strengths of its 2-way stablemates, and as a 3-way tri-amplified studio monitor, it achieves superior across-the-board performance. 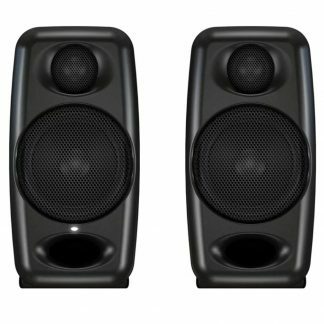 In a 2-way design, the woofer has to work very hard to reproduce the low frequencies as well as a portion of the midrange. Another inherent disadvantage is that the crossover to the tweeter is taking place within that all-important midrange — where the vocal tracks are most vibrant, where your guitars have girth and body, and generally where mixes either shine or fall flat. Having a dedicated midrange driver (and amp) delivers sweeping benefits, including solid bass extension, improved midrange purity, lower distortion, higher SPL capability, and overall accuracy. Suitable for both nearfield and midfield applications, the value-packed Dynaudio LYD 48 will help you make better recordings. If you’ve never worked on 3-way monitors before, you’re in for a treat: increased accuracy, extended frequency response, optimized sound staging, and more. 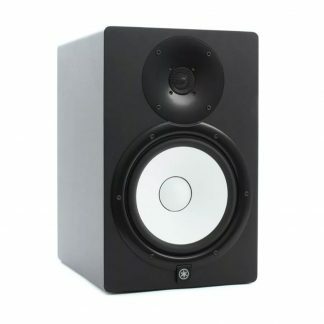 Having three dedicated drivers to handle the lows, mids, and highs; and crossover points that avoid the critical midrange frequencies; the Dynaudio LYD 48 is able to provide astonishing clarity across the frequency spectrum — and particularly in the critical midrange, an area that is often compromised by the existence of a crossover point in 2-way monitor designs. It also means that the 8″ woofer, freed from the burden of midrange duties, can do what it does best: deliver beefy, extended bass response. Likewise, the tweeter can concentrate on serving up silky, extended highs. Having the most important part of the frequency spectrum — the midrange — reproduced by a separate driver gives the Dynaudio LYD 48 an incredibly neutral midrange response that’s critical for proper placement of lead vocals and solo instruments in your mix. At Sweetwater, Dynaudio commands respect. With over three decades of experience building speaker drivers, the Danish company knows what goes into a great monitor speaker. Add to that 20-plus years of producing professional monitors for top studios, and you have a company perspective that few pro audio manufacturers can match. 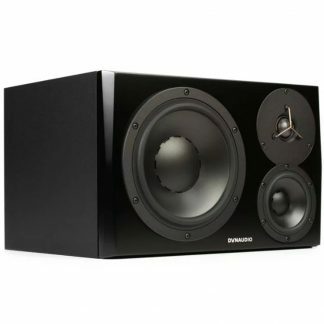 Dynaudio’s proprietary driver technologies produce monitors that are neutral and uncolored. This silky clarity, in combination with amazing dynamic capabilities, deliver monitors that let you work marathon sessions without ear fatigue — all while producing superior-sounding results.